Our Sports Academy secured double success at a prestigious international football competition in Spain. 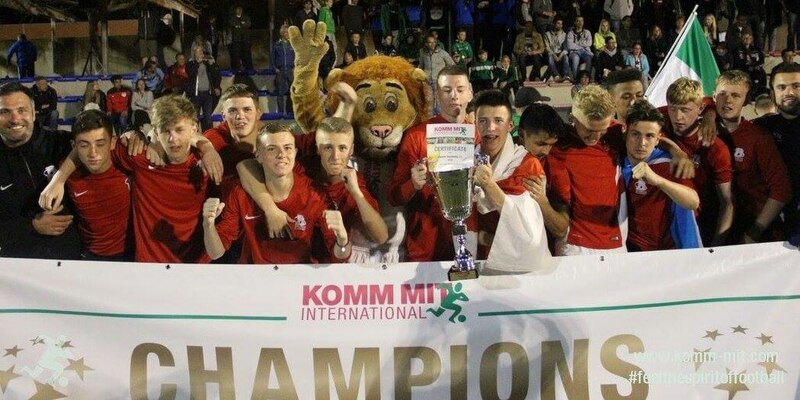 Teams from the college won both the under-19 male and the female open age categories at the German-founded Komm Mit International Whitsuntide Tournament in Catalonia, Spain. The female team qualified for the final after winning every fixture and scoring some fantastic team and individual goals against Spanish and German opponents. The final was against TV Jahn Delmenhorst of Germany, where a late goal from Amy Woodruff earned a 3-2 win. The under-19 male team one progressed to the final after knocking out the college’s team two in an all-Barnsley semi-final. The final took place against German team SV Ludweiler (GER). It took a fantastic goal from Brandon Shaw to separate the two teams and secure victory for team one in front of over 3,000 spectators.